I have two rules to Cable. One, his gun has to be bigger than the smallest person in any room he’s in (at a minimum). Two, his stories need to involve enough confusing time travel that at least one reader goes cross-eyed. That recipe for Marvel’s favorite son, Nathan Grey Summers, has proven successful since his late 80’s creation. 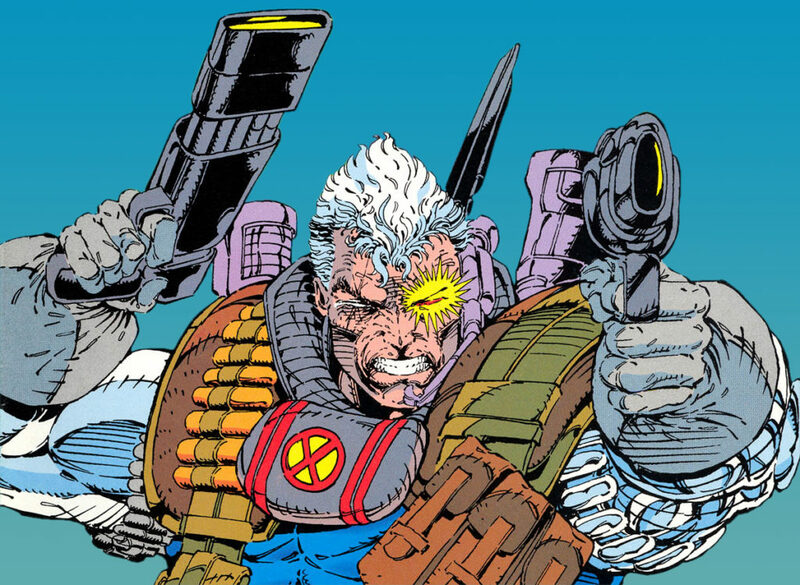 For most readers, Cable marks the X-Men’s jump from the Chris Claremont driven years of the 80’s to the Image Comics crew (Rob Liefield, Jim Lee, etc) of the 1990s. 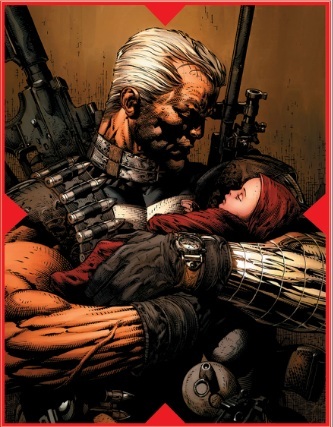 More recently, Cable’s found new life as the straight man to Deadpool’s chaotic comedy, and as a father figure to the salvation of mutantkind. No matter your preferred story type, below you’ll find a complete timeline and chronology for Cable comics. As always, let me know what you think in the comments, and enjoy the comics! Cable’s official Marvel debut takes place with Louise Simonson writing New Mutants in the late 1980’s, and a young upstart named Rob Liefield on art. Cable quickly becomes a fixture at the X-mansion, instructing the New Mutants and preparing them for the battles to come. In a lot of ways, X-tinction Agenda is the final X-event before Cable really becomes 90’s CABLE! complete with giant guns and rough and tumble X-Force crew at his command. Spiraling out of X-Tinction Agenda, Rob Liefeld and Fabian Nicieza grow Cable in to the action packed military strategist we’ve come to know today. Cable gets his first solo ongoing series, as we learn more about the time-traveling mutant, and his family tree. I’d recommend Cable: Blood & Metal as prelude issues to X-Cutioner’s Song. 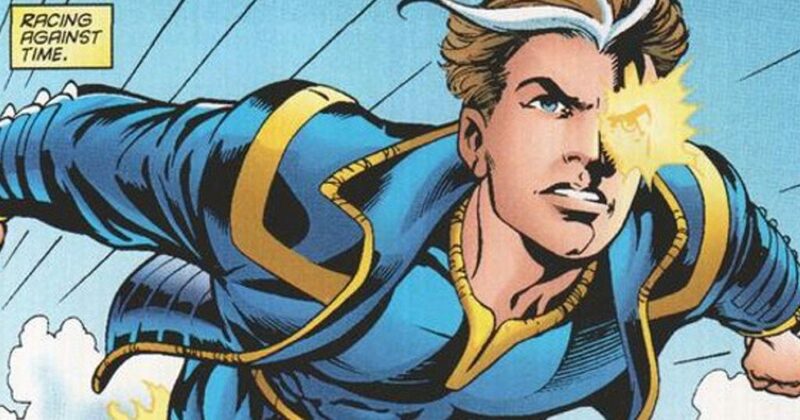 X-Cutioner’s Song is the definitive 90’s Cable event, diving deep into his connections to Cyclops, Jean Grey, Stryfe, and good old Apocalypse. These runs of X-Force and Cable will take you right up to the cusp of Legion Quest, and the X-Men’s alternate reality spectacular, Age of Apocalypse. Collects: Age of Apocalypse event reading order. 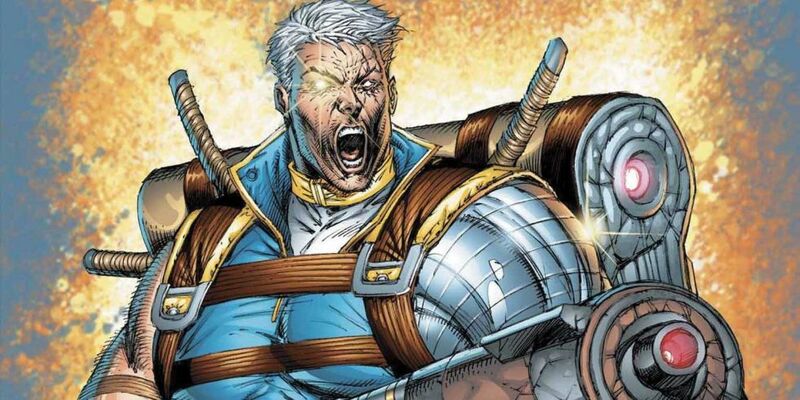 In the Marvel Universe altering Age of Apocalypse, Cable is reimagined without the technovirus infestation, and allowed to fulfill his full potential as X-Man. Following the conclusion of the Age of Apocalypse, X-Man transitions to Earth-616, resulting in dueling Cable personas in the Marvel Universe. Collects: Onslaught event reading order. Extremely relevant series of comics for Cable, with his lineage and backstory fleshed out in greater detail. Another showdown between Cable, the X-Men and Apocalypse, as Marvel of the 90’s turns to a new millennium of comics. My personal favorite Cable series (and one of my favorite 100 Marvel stories), with Fabian Nicieza and Patrick Zircher perfectly solidifying the surprising comedy and buddy dynamics of Marvel’s Merc with a Mouth and Nathan Grey Summers. This series is also particularly interesting for Cable, as his power set has never been so tremendous. Collects: Messiah Complex event reading order. 2007’s Messiah CompleX crossover had major ramifications across the Marvel Universe, with Cable in particular adopting an entirely new direction in life. Cable swoops in from the future to save the new mutant messiah following the events of House of M and X-Men: Decimation. Following Messiah CompleX, Cable’s new ongoing series details his attempts to keep Hope safe, and prepare her for her role restoring mutantkind. It’s an excellent an often underrated Marvel series from the late 2000’s by Duane Swierzycnski and Ariel Olivetti. The events of Messiah CompleX reach another boiling point with the Messiah War crossover event. Everything Cable and Hope have done to date comes to a head in Second Coming, the end to Cable’s solo ongoing before the launch of Marvel NOW. 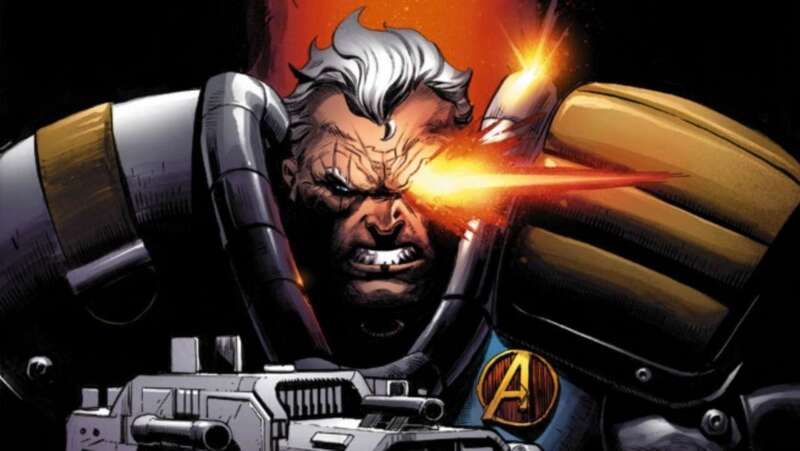 Leading into the events of Avengers vs. X-Men, Cable attempts to prevent the cataclysmic showdown from coming to pass. 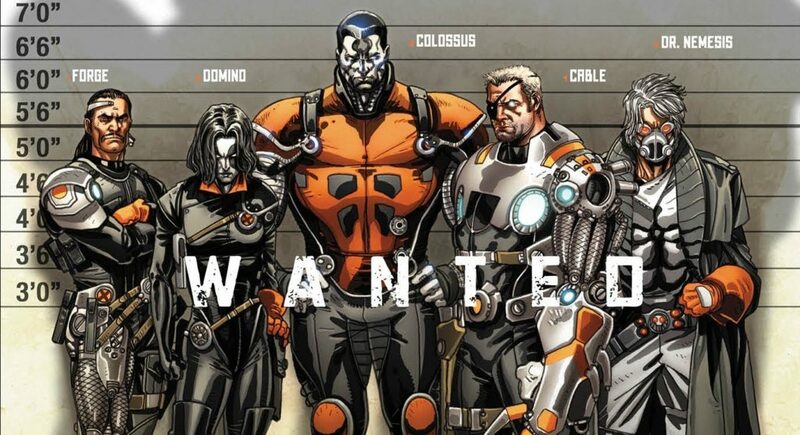 Cable forms a new X-Force in Marvel NOW, with old favorites like Domino and new X-Men associates like Hope and Dr. Nemesis. Originally released as a digital Marvel infinite comic, Cable and Deadpool ride again! Speaking of Cable and Deadpool together again, Cable transports to present day to save the Uncanny Avengers during All-New All-Different Marvel!